The Laton native put his indelible stamp on the National Basketball Association and the college game in a coaching career that began at Fresno Pacific in 1969 and soared highest in 2015 when the Golden State Warriors won the NBA title. Then Fresno State Coach Boyd Grant dubbed him his "Secretary of Defense" in the 1980s. Former NBA star and Coach Paul Silas called Adams "one of the finest defensive strategists in the world." Many credit him as the "father" of the matchup-zone defense. To say that Adams loves basketball is an understatement. He averaged 27 points a game his senior season at Laton High School. 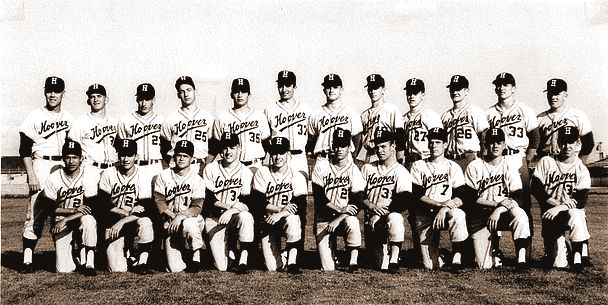 He went on to play and coach at Fresno Pacific, where he compiled a 44-36 record as head coach. After Grant left Fresno State, Adams became the Bulldogs' head coach. 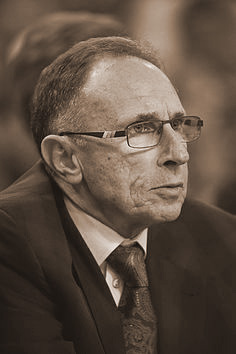 He served four seasons, and then embarked on a coaching odyssey in which he would be recognized as both a defensive genius and one of the NBA's best assistant coaches. For example, he was Tom Thibou?s right-hand man on the Chicago Bulls' highly successful teams of 2010-13. Prior to that, he was assistant coach for the Oklahoma City Thunder, who in one season went from last place to first place in defensive field-goal percentage. Before joining the Warriors, Adams was a valuable asset for the Boston Celtics, helping them launch a successful rebuilding effort under Coach Brad Stevens. It was a match made in heaven when Adams became the defensive strategist for Coach Steve Kerr and the Warriors. They won their first NBA title in 40 years in 2015 and in 2016 they set the NBA record for regular-season victories with 73. Said Kerr about Adams: "I wanted someone to motivate me with their thoughts and ideas, someone who enjoys teaching and development." Wherever he has been, Adams has been an innovator, a teacher and a motivator to both players and coaches. The sports-loving youngster who turned to golf after a serious knee injury and then learned the game while working at a Fresno municipal golf course fashioned a highly successful career on the PGA and Champions tours. Overcoming numerous injuries and surgeries, the graduate of Fresno's McLane High School won seven PGA Tour events and teamed with Pat Bradley to win the 1989 JC Penney Classic, which paired top men's and women's professionals. At 5-foot-11 and 175 pounds, Glasson was one of the tour's longest hitters throughout his career and played his best on some of America's toughest courses. 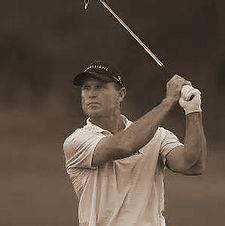 A two-time All-America selection at Oral Roberts University, Glasson joined the PGA Tour in 1984 and led the tour in driving distance that season. In 1985, he won the Kemper Open by a stroke, shooting a final-round 66 at the famed Congressional Country Club in Potomac, Md. It was all systems go for Glasson in the latter part of 1988 as he won the B.C. Open in September and the Centel Classic in November, each by two strokes. In 1989, Glasson tamed the famed "Blue Monster" course at the Doral Open for a four-round total of 13-under-par 275 to beat Fred Couples by a stroke. In 1992, Glasson again hoisted the victor's trophy in the Kemper Open at the TCP Avenel course, edging a quartet of players that included John Daly by a stroke. The 1994 season saw Glasson claim his sixth career win at the Phoenix Open. His final PGA Tour victory came at the 1997 Las Vegas Invitational less than 18 months after reconstructive elbow surgery. A final-round 66 secured a one-stroke victory. That season he was named the PGA Tour's Comeback Player of the Year. Among the best athletes in Fresno history, Roberts starred in track and field and basketball at Washington Union High School before rewriting the women's basketball record book at Fresno State and then playing at an MVP level in Europe's pro leagues. Roberts was the 1985 state long jump champion, soaring 19 feet, 1 inch, and also set the Central Section triple-jump record with a mark of 38 feet, 10 3/4 inches. But she gained even more headlines on the basketball court. After signing an early letter of intent to play for Fresno State in 1984, the 5-foot-11 forward/center averaged 22.5 points, 16 rebounds, 4.0 blocks and 3.5 steals a game to lead Washington Union to its first Sequoia Division title, a berth in the SoCal Regional finals and a 20-5 record. During her four-year prep career, she earned All-Fresno Bee honors three times and was The Bee's Player of the Year as a senior. Blessed with amazing jumping ability and fiercely competitive, Roberts didn't skip a beat with the Bulldogs. 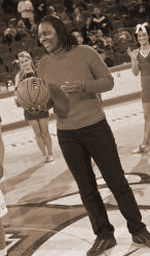 Not only did she anchor Bob Spencer-coached teams that compiled a 77-41 record over her four seasons, but she set school records for points (1,778), rebounds (981) and made free throws (486). She averaged 15.7 points and 8.7 rebounds a game during her collegiate career, shot 49% from the field, was named all-conference three times, and twice received All-America honors, (second team, fourth team). In 1989, she was named the Fresno State women's athlete of the year. Roberts was a standout on three straight national championship teams while playing in the Netherlands from 1993-95. She also played in Sweden, Germany and Belgium during a pro career that ended in 2002. During that time she earned three championship tournament or season MVP awards. In 2011, Roberts was recognized by Fresno State for her contributions to the community, as well as her sterling athletic career, as a Top Dog honoree. Though best known as Fresno State's longtime head athletics trainer and director of sports medicine, the New York City native contributed in many other ways to the Bulldogs' success and to the worldwide practice of sports medicine. It was because of Schecter's passion for his profession and for Fresno State that the university, since 2003, has awarded the Paul Schecter Courage Award to a student-athlete who has overcome a physical challenge to excel in college athletics. Bulldogs fans and athletes grew accustomed to seeing Schecter's comforting presence on the sidelines, but he also served high-profile assignments at elite competitions elsewhere. Schecter was the head trainer three times at the U.S. Olympics Track and Field Trials (1964, 1968, and 1972) and was head trainer three times for the U.S. track and field team at the World Military Games (1968, 1971, and 1973). 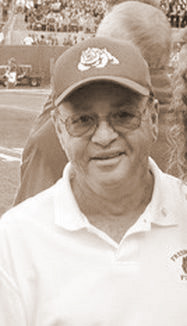 Upon his retirement in 2002, he was elected to the Far West Athletic Trainers Association Hall of Fame. That organization also honored him with its Special Service (1998) and Distinguished Service awards (1992). After high school, Schecter moved west to attend Cal Poly San Luis Obispo, and it was there that he made the switch from athlete to trainer. Later he was hired by Cal Poly Pomona, where he had the opportunity to work with the world-class Southern California Striders track and field team. Schecter earned a master's degree in education administration and put that toward great service to Fresno State and the community. He created the university's athletic training education program. When he had the STAR Clinic, he started a program that provided trainers to Fresno area high schools. Schecter also consulted with major athletic shoe companies Nike, Adidas and Puma. And he supervised day-to-day operations of the football program during the Pat Hill era while spearheading fundraising efforts that raised millions of dollars to improve Fresno State's training and football facilities. During 10 National Football League seasons and a standout career at Fresno State, the Volek name became synonymous with passing accuracy and command of the quarterback position. After leading Clovis West High School to an 11-1 record and claiming league Offensive Player of the Year honors in 1994 as a wing-T quarterback, he was recruited by Fresno State Coach Jim Sweeney. Volek matured physically during his redshirt season and following Sweeney's retirement blossomed into a three-year starter under Coach Pat Hill. He threw nearly 1,000 passes at Fresno State and suffered just 12 interceptions while throwing for 57 touchdowns and completing 60.1 percent of his attempts. His 1999 season was one for the NCAA record book as he passed the Bulldogs to a Western Athletic Conference title and a berth in the Las Vegas Bowl. Volek threw for 2,706 yards and 30 touchdowns and, amazingly, had just three interceptions in 383 attempts, setting the NCAA season record for lowest interception percentage. Volek signed with the Tennessee Titans as a free agent in 2000 and made the most of the opportunity. Primarily a back-up, he shined when called upon and in 2004 enjoyed his best pro season while starting eight games in place of the injured Steve McNair. Volek played in 10 games overall that year and passed for 2,486 yards and 18 TDs --including back-to-back four-touchdown, 400-yard games against Kansas City and Oakland. 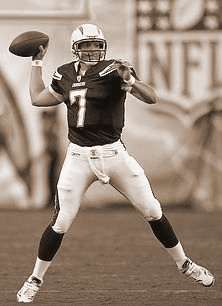 In 2007 playoffs, while with San Diego, Volek experienced the satisfaction of replacing the injured Philip Rivers in the divisional round against Indianapolis and scored the winning touchdown on a 1-yard sneak in the Chargers' 28-24 road victory. Volek was accurate with the football from beginning to end. He completed 60.5 percent of his NFL passes, with 26 touchdowns and just 13 interceptions.